2 YRS Wuxi Pinnacle Mechanical Equipment Co., Ltd.
11 YRS Changzhou ITC Power Equipment Manufacturing Co., Ltd.
1 YRS Tianjin Jianhuichangshun International Trading Co., Ltd.
HF POWER has always been committed to providing one-stop service for domestic and foreign customers. 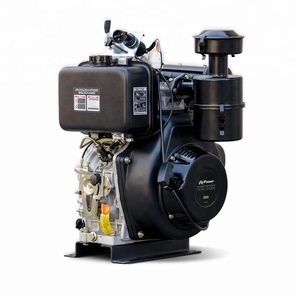 As a supplier of engine, we are confident and capable of providing customers with one-stop service in spare parts, engines and generator sets. We manufacture products ourselves and we source from other collaborative factories too which guarantees a competitive price and product variety. 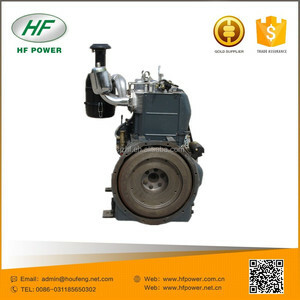 6 YRS Weifang Cainiao Import & Export Co., Ltd.
13 YRS Changzhou Shark Power Machinery Co., Ltd.
20 HP ZH1115 Jiangdong Diesel Engine 20 HP ZH1115 Jiangdong Diesel Engine description: Application: mainly apply to small tractors, farm vehicles, small generators, air compressors, inland shipping and power plant of agricultural processing (such as threshers, rice mills, milling machines, feed crusher, etc.). Q: 6. How to process the order if I have logo to print9 A: Firstly, we will prepare artwork for visual confirmation, and next we will produce a real sample for your second confirmation. , Ltd is located in Gaoyang county, which is famous for accessory at home and board, established in 1990. Our company has being the leading provider for more than 2000 kinds of machinery parts, including: Cylinder liners, valve, oil pump, piston, sump, crankshaft, Connecting rod, Nozzle, Cylinder Head etc. 1 YRS Wuxi Ifanite Power Technology Co., Ltd. 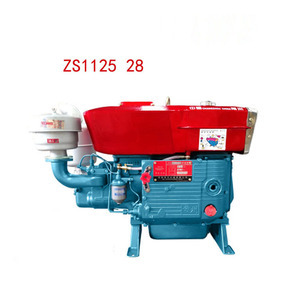 Product Application The V-twin 2 Cylinder Diesel Engine 22HP can work as engine for Tractors, Motorcycles and Water Pumps, as well as Diesel Generators. 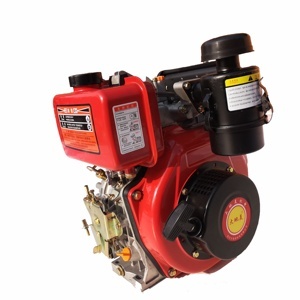 Fire Fighting Water Pumps The 2-cylinder diesel engine 22HP or 25HP is ideal for fire fighting water pump. Tractors or Motorcycles The diesel engine 22HP or 25HP can work as engine for tractors and motorcycles. 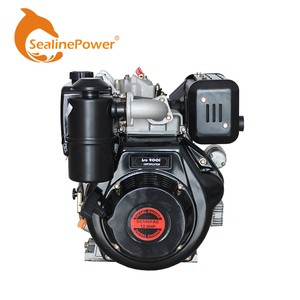 2 YRS Sichuan Cementhai Machinery Co., Ltd.
TIANLI company has developed QC4112, QC4115, 4JR3, QC10 and QC6112 series diesel engines one after another. The products of Tianli are used for engineering automotive, engineering machinery, agricultural equipment and generator set and other industries. Tianli company has maintained a strong momentum. 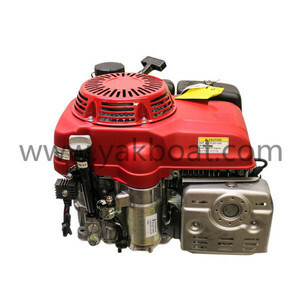 3 YRS Jining Yikang Machinery Co., Ltd.
4 YRS Taizhou Newland Machinery Co., Ltd.
9 YRS Weifang Kaisheng Power Co., Ltd.
Alibaba.com offers 53,470 1 cylinder diesel engine products. About 32% of these are machinery engines, 1% are tractors, and 1% are pumps. 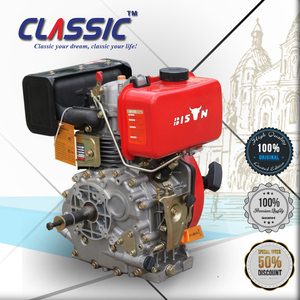 A wide variety of 1 cylinder diesel engine options are available to you, such as single cylinder, multi-cylinder. You can also choose from automobile, boat, and farm tractor. As well as from 4 stroke, 2 stroke. And whether 1 cylinder diesel engine is air-cooled, or water-cooled. 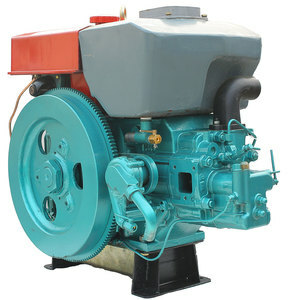 There are 53,470 1 cylinder diesel engine suppliers, mainly located in Asia. The top supplying country is China (Mainland), which supply 100% of 1 cylinder diesel engine respectively. 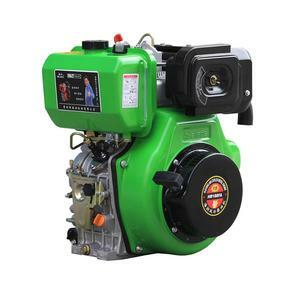  cylinder diesel engine products are most popular in Southeast Asia, Africa, and Mid East. You can ensure product safety by selecting from certified suppliers, including 13,309 with ISO9001, 8,414 with Other, and 969 with ISO/TS16949 certification.